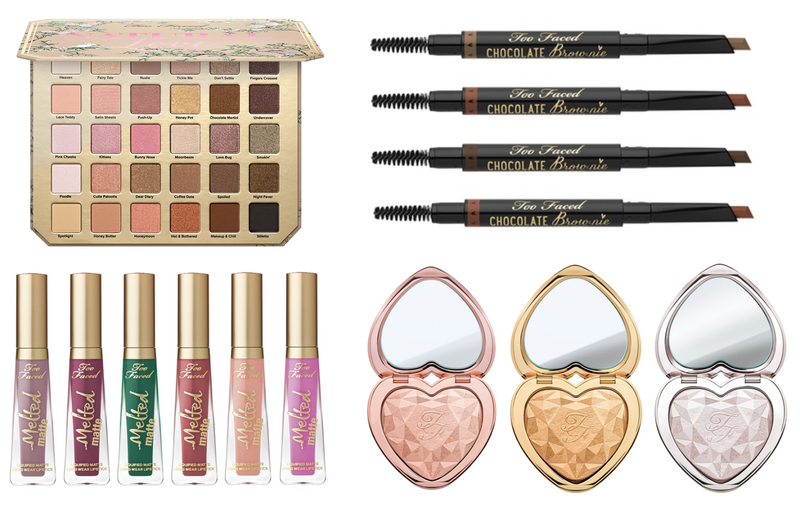 Get ready, because the Too Faced Spring 2017 Collection is launching March 9th at TooFaced.com! Get ready to fall hard for the first-ever Natural Love Eye Shadow Collection blockbuster with 30 naturally gorgeous eye shadows! Of course we had to include some of your favorites from the bestselling Natural Eyes, Natural Matte, and Natural At Night palettes, but get ready to take your neutral game to the next level with new exclusive shades. Even though this palette has some repromoted shades from past palettes, I don't own any of them (can you believe it?) so I'm definitely scooping this one up! 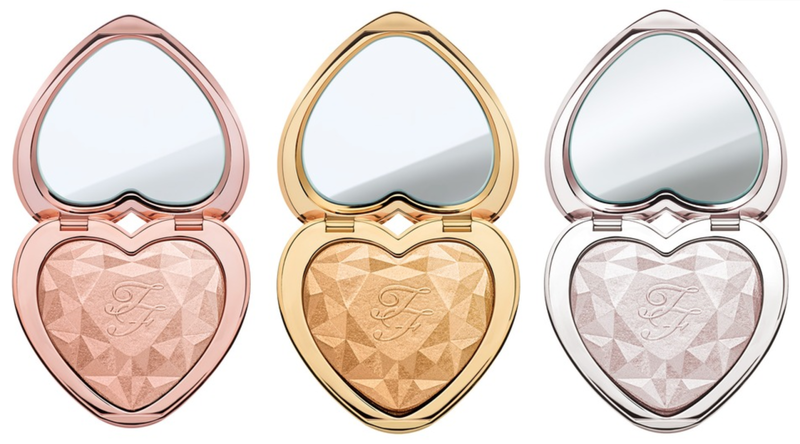 Using unique Prisma Shine® patented technology, Love Light combines the best of powder, liquid, baked and cream formulas for an unparalleled radiance. Universal shades light you up all day and night. You GLOW girl! 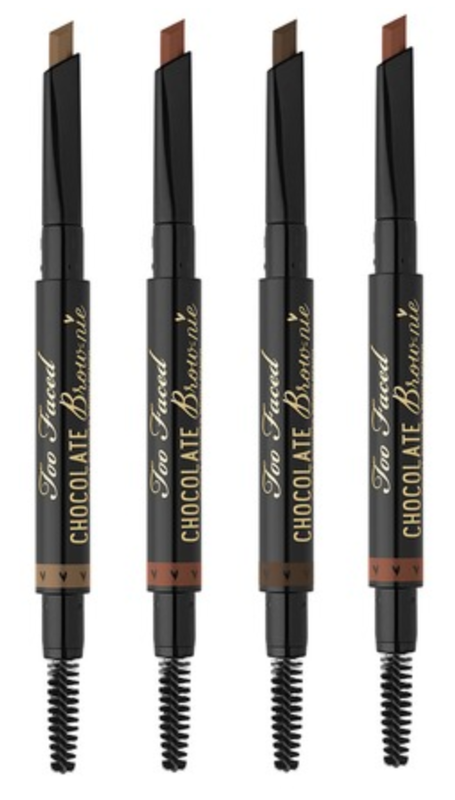 Take your brow game to the next level with our waterproof, cocoa powder-infused formula that conditions brow hair while offering perfectly defined and groomed brows that last for 12 hours—all with a subtle chocolate scent! The retractable calligraphy tip allows for custom sized strokes from soft and thin to bold and wide for expertly filled-in brows. The spooley end blends to create natural looking hair. These are already available at HSN here. Innovative formula glides over lips like a gloss but dries to an ultra-matte opaque finish. 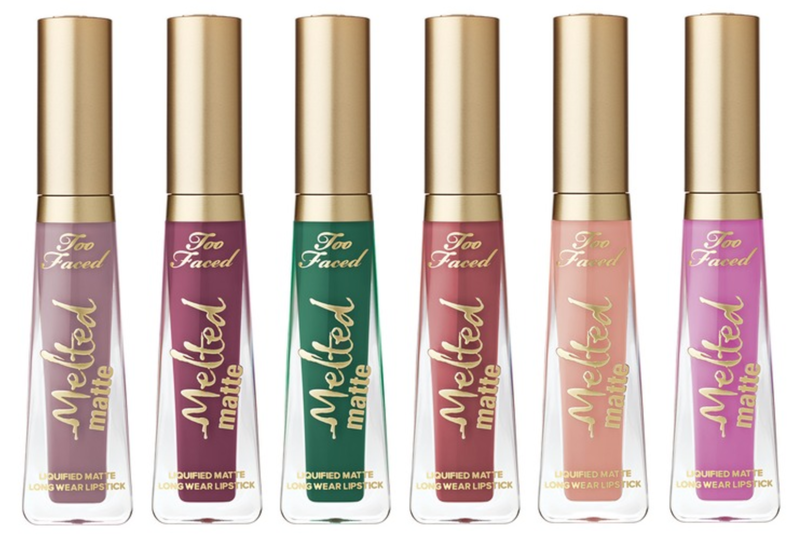 Infused with a no-sting lip plumper and filler, Melted Matte ensures color always looks rich, full, and kissable – never dry, shriveled or cracked. Doe-foot applicator comfortably coats lips in bursts of intense, saturated matte color that lasts for hours. Oh, I was wondering if some of the shades in this palette were re-promotes from other palettes. I own all of those mentioned so I'll have to think about whether I want this one or not. It'll still be nice to have them in the same place I guess? I am getting those highlights for sure though as well as the purple lipstick on the end. So...I am equally concerned about this. However I just ended up rebuying the Peach one because the re-release of this was TOTALLY reformulated. The original one felt dry and dusty, almost filler-y and cheap and was poorly pigmented. I sold it because I just couldn't handle the crappy payoff. I had no plans to go near the new one. Well, I was in an Ulta a couple weekends ago, and they had a new, untouched tester out, and I swatched it--totally different formulation. The shadows were VERY pigmented, felt smooth and rich. I ended up repurchasing it and I have been really happy with it. 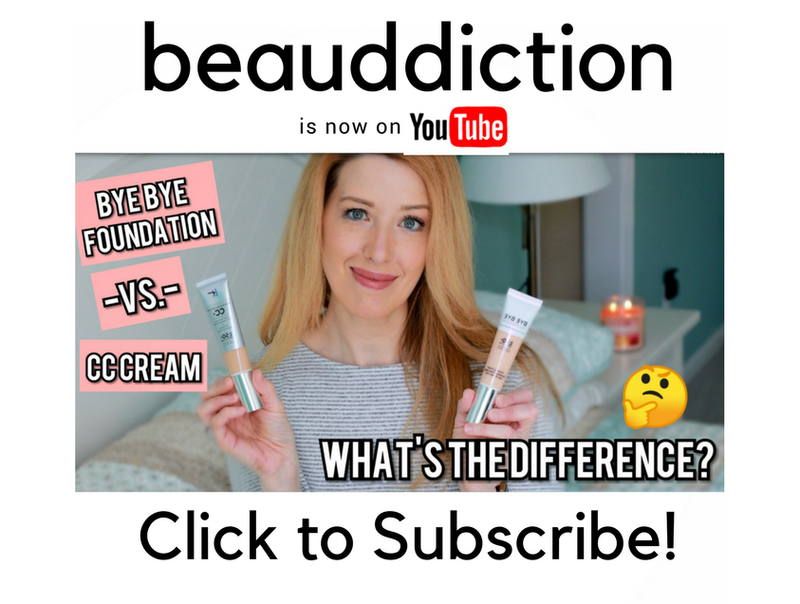 I also noticed this one is not labeled cruelty free...when the other one was. Hi Jen! 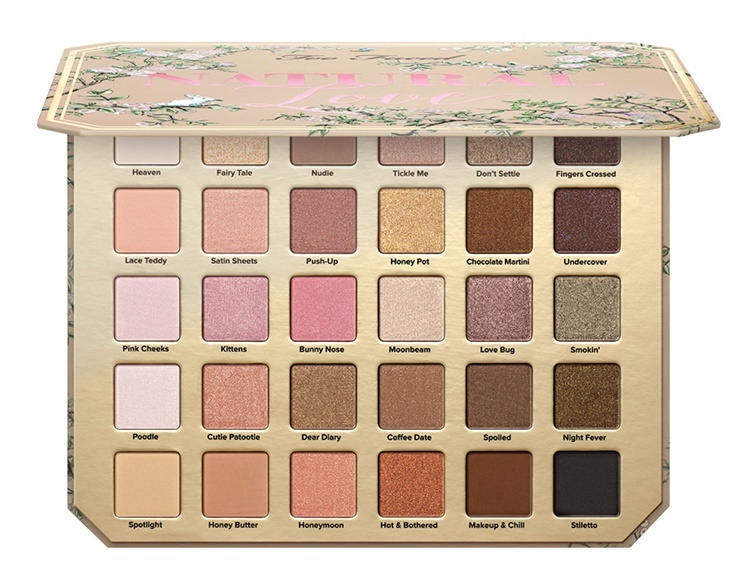 I'm tempted by the palette -- eye shadow palettes are my weaknedd -- but it looks like a giant-size version of the White Chocolate Chip palette which was terrible. 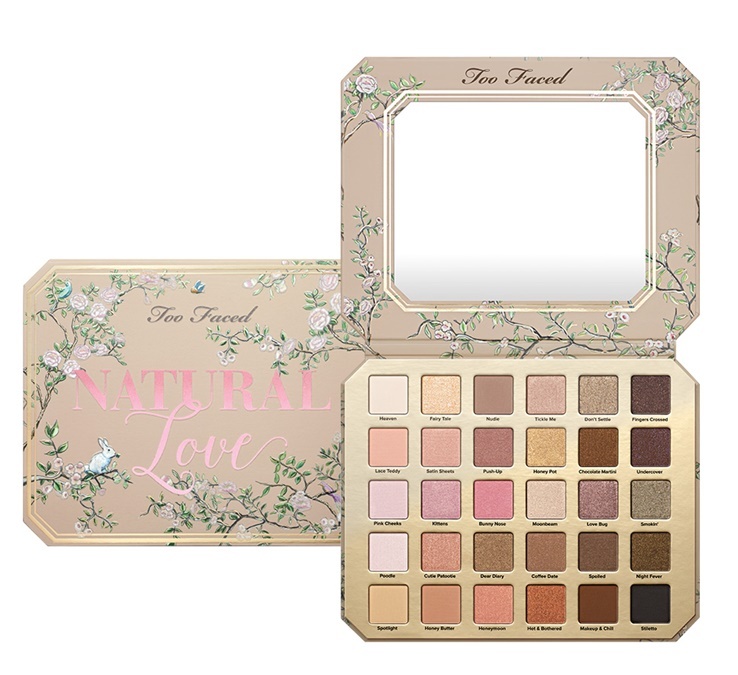 I'm very wary of TooFaced since their quality seems to have steadily declined, so I really should hold off and wait for reviews -- or at least until I find out where this palette is manufactured (if it's PROC -- forget about it!) -- Thanks! Christina D.
Hey Christina! Yeah it does look like the White Choc Chip and I actually ended up returning that one! I hate that the quality hasn't been great lately, I haven't even picked up either of the PB&J palettes. I love the colors in this one but ugh...I might have to wait for the reviews first. I've gotten burned/fed up/disappointed with my last several TF purchases. I returned the PB&H palette to Ulta this morning; it was horrible, and I ended up hating the holiday palette of theirs I got. No more TF purchases for me until I see mostly positive reviews! Honestly, I think they're just phoning it in at this point. Hi Sue, thank you so much! :) I agree, I think they are doing a "quantity over quality" thing at this point. Whatever happened to releasing two palettes a year or something along those lines? Companies should just do one Spring and one Fall...build up the suspense a little and make sure the quality is on point. I love hearing your comments! Leave 'em here! It Cosmetics Private Sale Starts Now! You Can Now Shop Flower Beauty on Their Website! Lorac I Love Brunch Collection Available Now! Samples I loved...and Will be Purchasing! © 2015 Beauddiction. Felicity Template designed by Georgia Lou Studios All rights reserved.